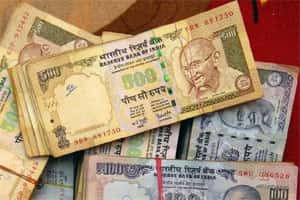 Mumbai: The Indian currency derivatives market shrank nearly 40% in October, a month after two major exchanges, the National Stock Exchange of India Ltd (NSE) and MCX Stock Exchange Ltd (MCX-SX), introduced transaction charges in the segment in deference to a ruling by the Competition Commission of India (CCI). NSE and MCX-SX, India’s two largest currency exchanges with about 90% market turnover, introduced transaction charges on 22 August. CCI had asked NSE to start charging fees in the currency segment after MCX-SX filed a complaint with the commission alleging NSE’s waiver of transaction charges was an abuse of monopoly power. NSE is contesting the CCI order—and the case is currently pending with the CCI tribunal—but the exchange started imposing transaction charges of Rs115 for an order worth Rs100 crore in late August. MCX-SX, too, levied similar charges. “We are thinking of making an appeal to CCI to hear our case so that we get some kind of a rebate to start with," said Naresh Maheshwari, president of the Association of National Exchange Members of India (Anmi), a grouping of brokers. A highly volatile spot market in September ensured that volumes were not affected immediately. Exchange-traded currency derivatives were first introduced in India in 2008 with the launch of currency futures by NSE, and have grown 31 times to Rs38,731 crore daily in 2011. Currency options were introduced in 2010 and account for 13% of the overall currency derivatives pie. Options are derivatives that provide a buyer with the right to bet on the price movement of an asset without placing the buyer under any obligation to transact in case the bet turns wrong. The seller of the option earns a premium paid by the buyer. Both futures and options turnover fell by an identical margin in October. The overall exchange-traded currency market fell 39.5% to Rs29,928 crore. Turnover on NSE declined 35% to Rs13,982 crore over its daily average in the six-month period leading up to the imposition of transaction charges. Turnover on MCX-SX dropped 32% to Rs12,292 crore in the same period. Turnover on the United Stock Exchange (USE) saw the sharpest drop of 64% to Rs3,655 crore despite the bourse not imposing any transaction charge. USE is facing turbulence with a couple of high-level exits in the top management. It faces a Securities and Exchange Board of India inquiry over allegations of circular trading by Jaypee Capital Services Ltd, promoter of USE. The Economic Times reported on 6 September that Jaypee Capital accounts for 80% of the volumes on the exchange. Between 22 August, when transaction charges kicked in, and 6 September, USE gained market share in the futures’ segment at the expense of NSE and MCX-SX as investors migrated to the bourse. USE’s market share in that period rose to 36%, roughly similar to MCX-SX’s share, and a 14 percentage point rise over its six-month average. Since then, it started losing market share as troubles at USE shook investor confidence. Proprietary traders, retail investors and smaller firms— which face an unfriendly over-the-counter market dominated by bigger firms—contribute to most of the volumes in the exchange-traded currency derivatives market. “Intraday trading in currency futures has taken a hit after the imposition of transaction charges," said Rajesh Baheti, head of Crosseas Capital, a Mumbai-based proprietary trading firm. Currency traders work on thin spreads and the charge has eroded their margins, he added. Retail investors have also shied away. They are exploring other markets such as commodities because of the imposition of charges, said Pramit Brahmbhatt, chief executive officer of Alpari Financial Services (India) Pvt. Ltd, a retail brokerage firm. Proprietary firms that use algorithm trading in the currency market will have to rework them to take into account the charges. A proprietary trader, who did not want to be identified, said that brokers have already made representations to exchanges, asking them for a discount in the charges. Algorithmic trading is the use of computer programmes for entering trading orders, with the algorithm deciding the timing, location, price or quantity of the order. To be sure, an unexpected depreciation of the rupee in September also contributed to the decline in turnover. Many investors who had bet on a strengthening of the rupee lost heavily in September and have stayed away from the markets, brokers said. “The sharp drop in the rupee led to huge losses, especially for options traders and they have stepped away for now," said Rajesh Bajaj, a Kolkata-based proprietary trader. Maheshwari of Anmi said exchanges and the market regulator should look at ways to incentivize currency traders to drive volumes. “In the long run, there has to be some transaction charge, but as margins are quite thin, you need other structural reforms to make it easier to trade on the exchange platform for the market to grow," he said. “There is no stamp duty on currency trades in most states, but a number of states have started levying these charges." NSE, MCX-SX and USE declined comment for the story. Ashwin Ramarathinam and Ravindra Sonavane contributed to this story.